Among the many reasons to choose Computer Science as your field of study, the most compelling might be the career options that open up. Weber state is well known for the quality of graduates that come out of the Computer Science program. 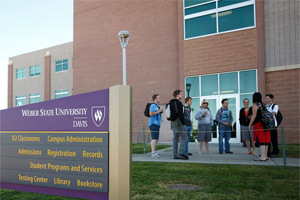 The Weber State University Computer Science B.S. program is accredited by the Computing Accreditation Commission (CAC) of ABET. SAN FRANCISCO (March 13, 2017) – Weber State University has been recognized as one of the best colleges offering online learning in the nation by The Community for Accredited Online Schools (AccreditedSchoolsOnline.org). As a leading resource for campus and online learning, the site released its annual ranking for the 2017 school year, honoring Weber State University 6 times for their excellence in online learning. To qualify, schools must hold public or private not-for-profit status in addition to institutional accreditation. Top schools are determined by a scoring system that uses value-based methodology, analyzing several qualitative and quantitative data points. I programmed for a few years on my own, I thought I was learning pretty well. But when I decided to go to Weber State my knowledge sky-rocketed. Not only have I learned much faster through their Computer Science program, I've learned so much more than I could have ever learned on my own! Weber State University is a great school. Being in the Computer Science program I have been given all the tools I need to succeed in the program. I feel like the professors are invested in making me successful for the future. Weber State has a great computer science department and they are teaching the right things. Its been really great having professors like Dr. Fry who give you opportunities [working with real companies]. For students who live closer to the Layton area, and for students who need evening courses, the Computer Sience department offers courses at WSU Davis. Students at Davis have completed their CS associate's degree and bachelor's degree without needing to attend classrooms at the main Ogden campus. CS courses at WSU Davis are typically offered 5:30-7:20 PM and 7:30-9:20 PM, either on Monday and Wednesday, or on Tuesday and Thursday. 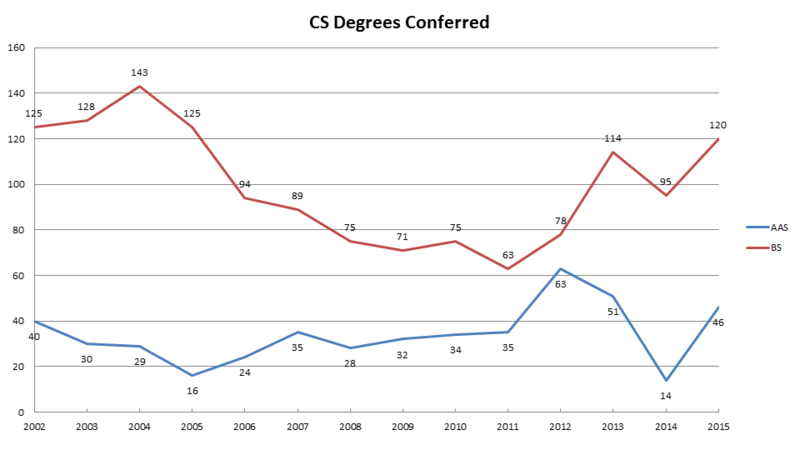 CS students at WSU Davis are more nontraditional, with a wider range of ages and backgrounds. Many students have full time jobs in the day, and professors understand the needs of balancing a personal life with your education. For more information about the Computer Science program at WSU Davis contact Brad Peterson 801-395-3465 or email him at bradleypeterson@weber.edu. Below are some of the student and professional clubs and organizations that are of interest to Computer Science students at Weber State University. ACM is widely recognized as the premier membership organization for computing professionals, delivering resources that advance computing as a science and a profession; enable professional development; and promote policies and research that benefit society. ACM hosts the computing industry's leading Digital Library and Guide to Computing Literature, and serves its global members and the computing profession with journals and magazines, conferences, workshops, electronic forums, and Online Books and Courses. "We are a group of software professionals who want to keep current on new technology and expand our knowledge to other technologies. We meet once monthly on the First Thursday of the month. We provide meeting attendees with food and giveaways. Men, women and children of all ages are welcome. 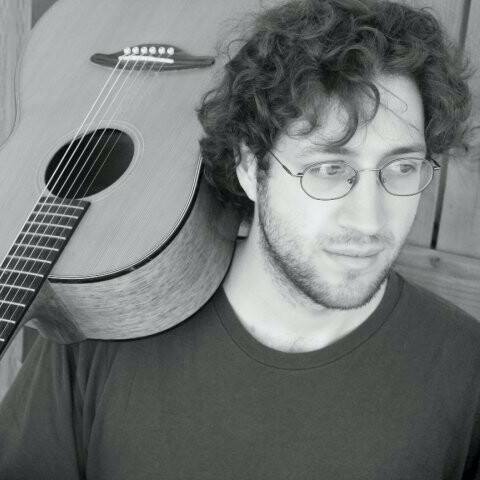 Bring all your friends and coworkers." "We are a group of students, professionals, and hobbyists who share a passion for Linux, and free and open source software. The group serves Weber, Davis, and Morgan counties. We welcome absolutely anyone who is interested in learning, teaching, and helping the local community." "ComputerScienceOnline.org is an in-depth website for potential and current students considering a career with computers, software engineering, and more. Our staff is passionate about technology and dedicated to helping others find the information they need to make decisions about their future in the fast moving and rapidly growing tech industry. Our search tools for relevant school programs, salary data, and our articles and guides are researched carefully. We use expert sources to bring you accurate, current information about computer science degrees and careers. Our sources include individuals in upcoming tech firms, professors from top colleges and universities, the Bureau of Labor Statistics, the National Center for Education Statistics, and more." Engineering has historically been a male dominated industry and it is part of our mission to help change the future of this profession. To be an outstanding undergraduate program in applied Computer Science. Specifically, to be recognized by employers as the best program to educate and train graduates who are quickly productive and who design and develop software and computer systems of the highest quality. To provide students with the best education that prepares them to engineer, design, develop, support, and maintain technical software applications and integrated computer-based systems. To instill in them a solid understanding of the principles of Computer Science and the related skills that enable them to be productive in developing software and networked computer systems of superior quality and robustness. To provide a broad foundation that will allow them to continue to learn and progress in their careers and education. Software Engineering -- To give students a clear understanding of computer programming paradigms and languages, a solid foundation in the principles of developing robust, maintainable, efficient software, and the skills to effectively apply that understanding in the various roles of medium to large software projects. Customized Option -- To give students a mechanism for integrating knowledge and experience in other domains with skills in applying the computer in that domain. This option will allow students to customize a program of study in Computer Science courses in support of applications (software or systems) in their specialty areas. Such domains can include technical areas from science and engineering as well as arts and humanities, education, and other professions. This option will require a senior project. Program educational objectives are broad statements that describe what graduates are expected to attain within a few years of graduation. Program educational objectives are based on the needs of the program's constituencies. Will be making positive contributions to industry, technology, and/or education. Will be demonstrating and exemplifying professional and ethical practices in all aspects of their career. Will be practicing and exemplifying effective and collegial collaboration in all team activities. Will be continuously engaged in effective self-directed learning that supports the acquisition of new skills demanded by their careers and the understanding of new concepts necessary for continued contributions to the computing field. The Program Educational Objectives define the ultimate goal of an effective learning experience. Outcome 1 implies that graduates have acquired the broad range of computing skills and have developed the positive and professional attitudes and motives necessary for a productive computing career. Outcome 2 suggests that graduates understand their obligation to society and that they strive to better it as they advance their individual careers. Outcome 3 acknowledges that most contemporary computing tasks require a group effort and that graduates' individual actions magnify that group effort. Outcome 4 recognizes that computing knowledge evolves rapidly and that graduates respond by developing the skills and the attitudes needed to stay abreast of the advancing knowledge. (j) An ability to apply mathematical foundations, algorithmic principles, and computer science theory in the modeling and design of computer-based systems in a way that demonstrates comprehension of the trade-offs involved in design choices. Program Educational Objectives and Student Learning Outcomes differ in two key respects. The first distinguishing characteristic is time: objectives are fully attained after graduation while outcomes are achieved by the time of graduation. Objectives and outcomes are further distinguished by the degree of abstraction versus concreteness: objectives are abstract, high-level behaviors while outcomes are lower-level, more concrete skills. 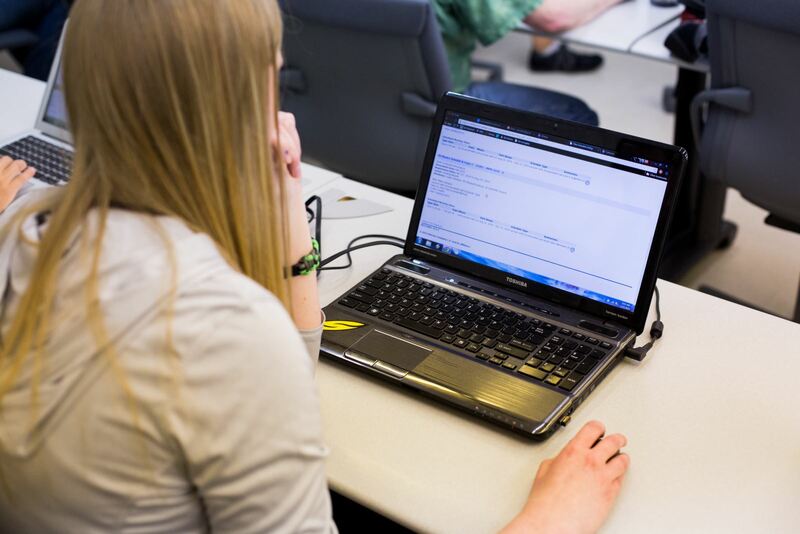 The nine learning outcomes were developed in cooperation with the WSU CS Industry Advisory Committee, which consists of representatives of local computing industries that hire numerous WSU CS graduates. The members of the CS faculty believe that the department's curriculum will support students’ efforts to attain these outcomes. 1. What degree options are available in Computer Science at WSU? 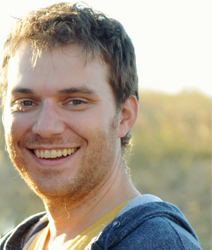 We offer an Associate of Applied Science Degree (A.A.S), and a Bachelor Degree (B.S. or B.A.). For our Bachelor Degree, you may choose an emphasis in Software Engineering, Network Security and Administration or a Customized Option. We also offer a computer science minor, teaching minor, and a BIS Concentration. 2. What GPA must I maintain to be in this program of study? 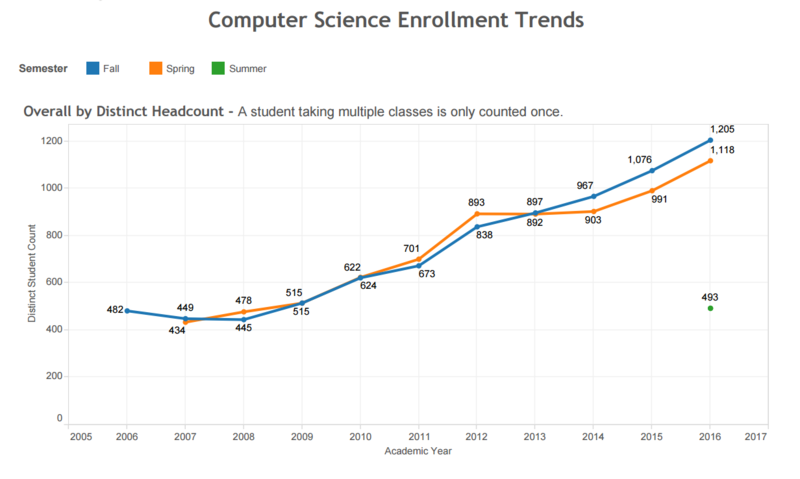 Students in the CS department are required to maintain a cumulative GPA of 2.7 in their computer science courses and a grade of C or higher in each class. In situations involving medical emergency, military leave or crisis, an appeal for a grade under a C may be considered. See the department advisor for more information. 3. Where should I go to obtain more information about the CS program and/or to officially declare a major or a minor in Computer Science? You should contact our department secretary at 626-7929 or use our on-line scheduling system (https://advising.cs.weber.edu) to make an appointment to meet with the academic advisor, located in the Technical Education Building, room 110D. If you are declaring a major or a minor, you will need to fill out a Major Declaration Form, which is available at the front desk. 4. In a nutshell, describe what makes this program unique and outstanding? Our computer science department offers a thorough combination of both applied knowledge and theory. We are especially focused on preparing students for the industry upon graduation. We have a close relationship with the local industry and our Industry Advisory Committee helps us design our curriculum to match their growing needs. Internships are included in our degree plans and they help prepare the students well for working in this field. 5. If I have decided to major in Computer Science, what classes should I begin taking? You may visit https://catalog.weber.edu/preview_program.php?catoid=2&poid=510&returnto=611 to view a suggested course sequence but your best bet is to meet with the academic advisor. Together, you and your advisor will design your schedule based on your personal situation and the department's course listings. 6. As a full-time worker, how will I be able to juggle my classes at WSU? 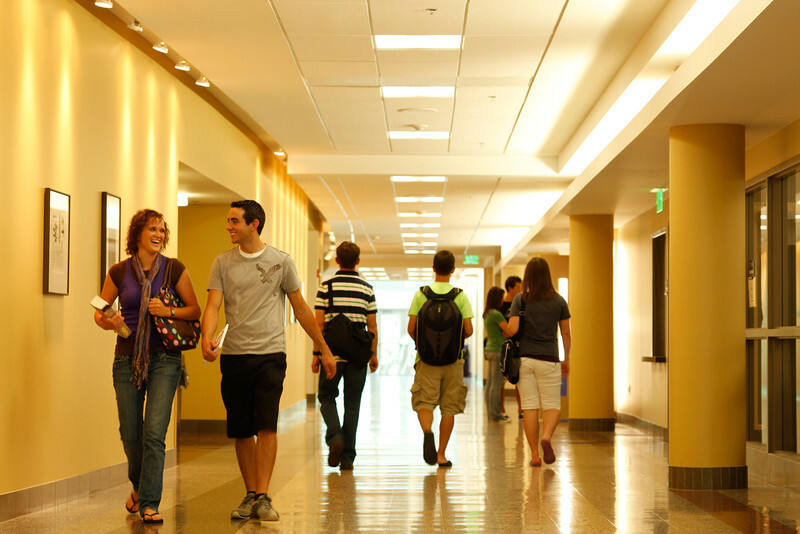 Weber State University offers daytime, evening, weekend, and distance courses available for part-time and full-time college students. Meet with your advisor each semester for assistance in planning out your schedule. 7. Will I have to take all of my computer science classes in Ogden at WSU's main campus? You will be able to choose CS classes in Ogden (WSU's Main Campus), Layton (Davis Campus) and/or Salt Lake City (at the SLCC-WSU Redwood campus). 8. With a Bachelor Degree in computer science, what is the job outlook? The computer industry continues to grow at a rapid pace, and currently the job outlook for our graduates is very high. In the spring of 2006, Money Magazine rated occupations across the nation based on job demand, salary and stress level and 'Software Engineers' rated as #1. A wonderful resource for learning the current job situation and salary information for any field is https://www.bls.gov/oco/. 9. What resources does Weber State University offer to help me get a job in the computer science industry? Be sure to meet with your assigned career counselor, Kim Early, who will help you prepare your resume, enhance your interviewing skills, and connect you with opportunities in the industry. You may contact Kim by calling 626-6877 or emailing her at kimberlyealy@weber.edu. Please refer to the Career Services website for more information regarding career guidance at WSU. Students will also want to check the job board posted outside of the Computer Science Department for current job notifications posted by our department Chairman, faculty and staff. 10. As I approach graduation, is there anything more that I need to do other than complete my course requirements? A group of 30 Computer Science students took on a project designed to help a local non-profit organization, "Anything For a Friend" with a need that they had. AFAF helps individuals with life-threatening illnesses by helping and enabling their family and friends in fund-raising and other support activities. AFAF is an all-volunteer organization and desires that 100% of proceeds from sponsored activities go to the recipient. One nagging exception to this desire was the cost of using an outside service to process the pre-registration and payments for events such as Dinners, Golf Tournaments and 5K Runs. The CS4790 class worked together as a team to create an event registration system complete with an administrative section for use by AFAF board members. The CS4790 course is a capstone project course and usually develops systems for non-profit community organizations. The students in this class were organized into 5 teams grouped into functional areas. The teams first met with Becky Anderson, founder of AFAF. After five weeks of design, prototyping, programming and testing, the system was delivered to Becky and two other board members in class. The system as of today the system has been used to register 3,768 individuals for dinners, concerts, 5K Runs and other special events. There are a number of dinners, runs and tournaments coming up during spring, summer and fall. The success of the system has enabled Becky and others in the organization to be able to devote more time and resources directly to the recipients. The CS4790 course extended the system to provide for Giving Tree donations. The project was featured in WSU's Signpost and The Standard Examiner. Cottages of Hope is a nonprofit organization which is located in Ogden Utah, that helps less fortunate people better their lives in various ways. 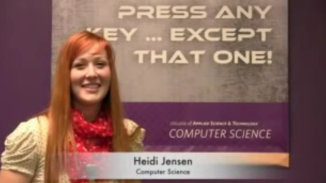 They approached Weber State to build a web application to replace their current paper system. The project is currently developed in C# with ASP.net using an MVC framework approach. with a SQL server back end. We have created a custom email and Text message engine that integrates with a database, a Windows service application, and third-party applications as well. There is still much to do on the project and we are happy to report that we have a very good working relationship with them, and are positive the project will be a great success. Runway Ruby’s Restaurant at Hill Air Force Base hires mostly individuals with autism or Asperger’s Syndrome resulting in a unique set of requirements. Weber State University Computer Science students developed a system to aid in stream lining orders and reducing stress and anxiety experienced by the employees. Prior to the system’s development food orders were frequently incorrect resulting in wasted food, poor customer service ratings and unneeded additional stress and anxiety for the employee’s. The resulting system addresses the needs of autistic individuals and is scalable to address other needs, such as tactile and auditory interfaces for blind users. Students developed a system for fully customizable point-of-sale terminal and a tablet order queue. The solution has resulted in better customer service, efficient and accurate order handling, and most importantly helping the employees feel more confident with working in the demanding environment. This solution was developed by students in the upper course levels of the Computer Science program. Students will be working in teams to produce an online ordering system for “Runway Ruby’s” allowing for them to better serve the base personnel. Students working on projects like Runway Ruby’s gain the valuable experience of working in teams, being self-motivated and organized, and practical experience applying their education. The experience gained is valuable in today’s workforce.